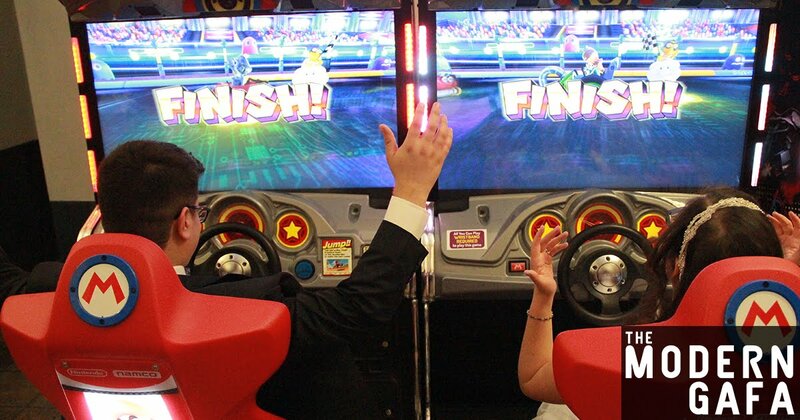 Victory Pointe is an arcade and gaming cafe that boasts two jam-packed floors of gaming. But it’s more than just a place to play games. I first stepped foot inside Victory Pointe exactly two years ago, and on that day my life changed. Read on to find out why Victory Pointe is my favorite place in the world. When you first arrive at Victory Pointe, stop on in the first floor to get a milkshake or their famous Butterbeer. For their two year anniversary, Victory Pointe is unveiling a full blown ice cream bar with multiple awesome flavors and an expanded menu of milkshakes, sundaes, and more! 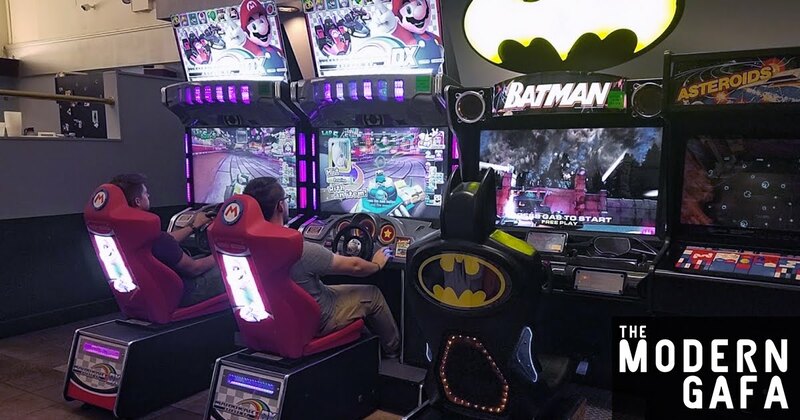 After filling up on ice cream awesomeness, grab an All-You-Can-Play wristband for $15 for the whole day (or just do a 1 hour trial for $5) and play one of their classic arcade games, pinball machines, Japanese imports, and popular favorites like Dance Dance Revolution or Mario Kart. Oh, and this is not a drill: they have Ninja Baseball Batman. Head up to the second floor to kick back in their console and tabletop lounge and play over 3000 board, card, and console games. They’ve got everything from the original NES all the way to the Nintendo Switch, board games from the Monopoly and Jenga to the complex In the Dead of Winter and Mansions of Madness. They have a collection so big you’ll never be able to play every game there. But don’t worry, the staff is always helpful with recommending a game for you to try. Ever wanted to try some virtual reality? Victory Pointe has the full-scale HTC Vive set up - and it’s included in the wristband! Just bring a friend to make sure you don’t get tangled up in all the fun. Also unveiled in the two year anniversary event is an escape room! Victory Pointe hosts a number of events as well. Their BYOB set-up makes them the perfect place for something as small as a birthday party, but the possibilities don’t stop there. 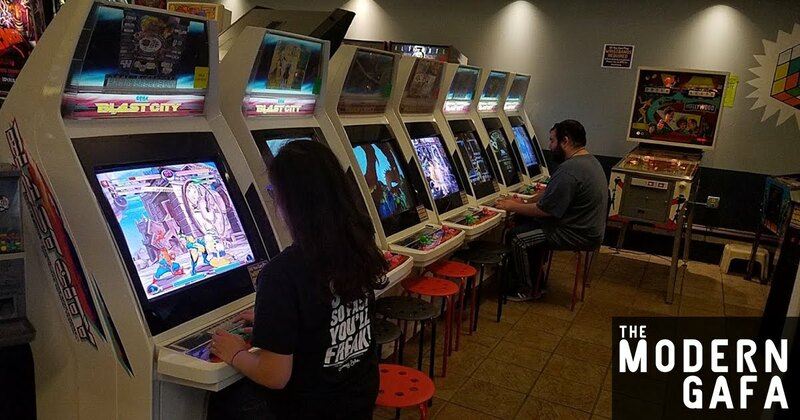 Victory Pointe has also been the home to regular fighting game tournaments, D&D campaigns, Magic: The Gathering groups, even small conventions. 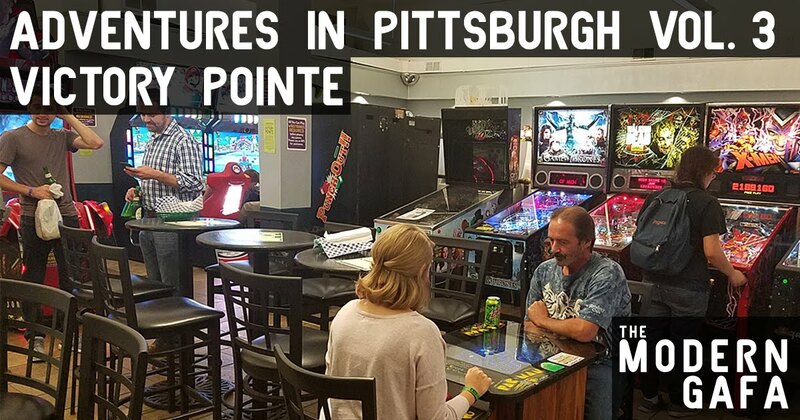 They’re also considered the gayest place in Pittsburgh that isn’t a bar, supporting many local LGBT organizations and offering a safe and fun place for those who are not yet old enough to enter a bar. And when you go to an event at Victory Pointe you just know the drink specials are going to be spot on. As you may have gathered, I am a million percent biased here. For me, Victory Pointe is more than just a place to hang out, eat food, and play games. Victory Pointe is where I came to feel like myself in more ways than one. It’s a place where I’ve always felt like I belonged. I’ve volunteered to help them out a few times, I’ve been to their private staff holiday party, they’ve flat-out refused my money more times than I can count. When we needed a space, Victory Pointe hosted the first ever Digimon Celebration. And on the most important day of my life, Victory Pointe became the venue for my wedding reception. And just because I can’t get enough of this place, I’ve actually started working there too! If the time came when we ever had to leave Pittsburgh, Victory Pointe may be the hardest thing to say goodbye to. It’s Pittsburgh’s best-kept secret. It’s the most fun you’ll ever have. And it’s my favorite place in the world. I am a Pittsburgh-based geek and fan of comics, movies, TV, gaming, anime, and more! Find out more about me here. This blog may contain advertisements and affiliate links that generate a commission for this site. You can find more information on this here. © 2018 - The Modern Gafa. All Rights Reserved. Site Design by Makeo Media.